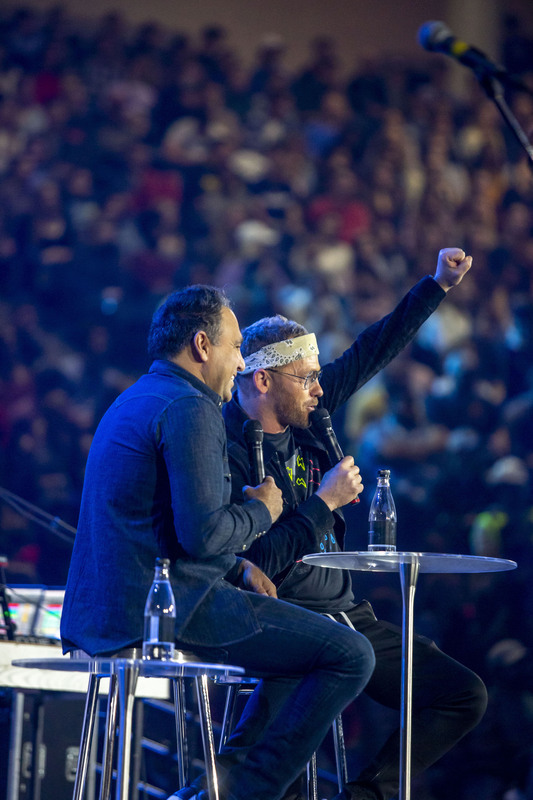 While Liberty students were leaving class and finding seats at Convocation Oct. 31, TobyMac’s band, DiverseCity, was gathering backstage to enjoy a hearty breakfast. Eggs, biscuits, cereal, pastries, fruit, yogurt and strong coffee were some of the foods served. The band helped themselves to heaping plates and settled down at a long table in a room behind the Vines Center. Toddiefunk, the bass guitarist for DiverseCity, said with 80 to 90 shows a year, he rarely gets nervous before performances. The cheerful atmosphere of breakfast seemed to convey this. Many have been in the band for a long time and have had the opportunity to develop close relationships with each other. It wasn’t always Toby McKeehan’s dream to become a musician. 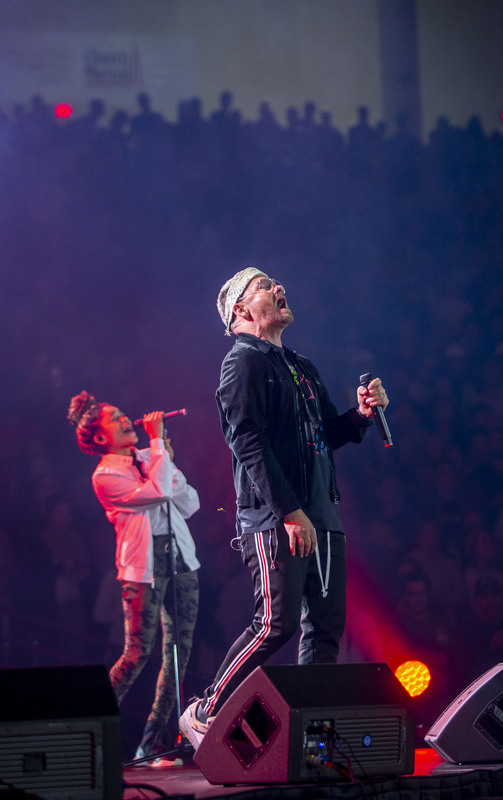 Before his career as TobyMac took off, McKeehan was a political science student at Liberty University and a member of the golf team. But while at Liberty, he met another student who would completely change the path of his life. When McKeehan and high school friend Michael Tait met Kevin Max at Liberty, they eventually ended up forming the Grammy-winning band DC Talk. Later, McKeehan launched his solo career as TobyMac. He never did use his political science degree. Because of the direction he took, McKeehan believes it is important for young people to be flexible with their life plans. Even as a well-known artist, McKeehan often finds himself surrounded by people, but he still believes seeking out community is vital. McKeehan said he believes this type of community is important because it keeps him accountable for his actions. It allows him to check in with his friends to see if he reacted well to a situation. The key to this is checking in often. Another aspect of community that is important to McKeehan is loyalty. Both members of his band and other members of his crew have been with him for many years, and for McKeehan, they have gone from coworkers to family. McKeehan also encouraged students to not take community among different races for granted, explaining this type of community offers a richness to those involved. 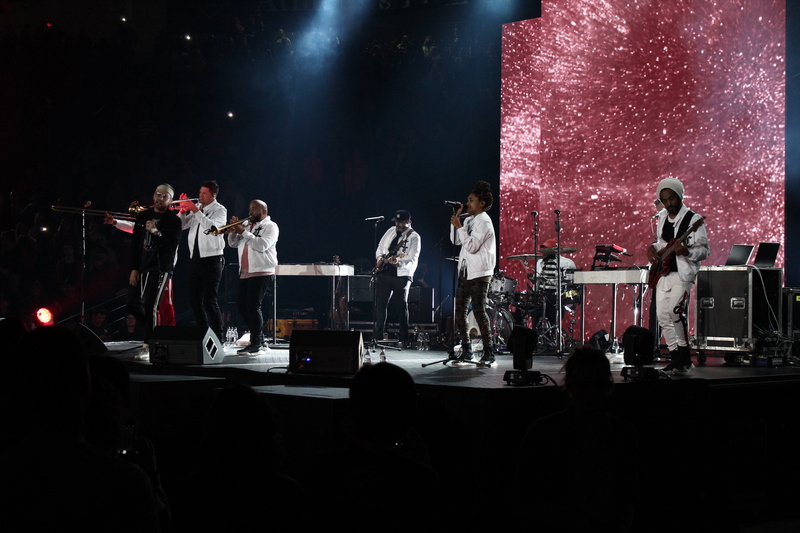 TobyMac and DiverseCity are currently on the Theatre Tour until Nov. 18. More information about TobyMac and his band can be found on his website at http://tobymac.com/.